Maybe middle school misery was milder for me because I had a best friend at every step, from womb-mate through high school. (I was born blessed with an identical twin sister.) I recall our entering Old Orchard Jr. High where the three local grammar schools merged, excited to move with large packs of our fellow pubescents while being exposed to diverse and interesting concepts — plus, boys. When I had kids of my own, unlike the omnipresent “buckle your seatbelt” warnings we all hear about middle school, I found their experiences to be a most fascinating time that I have come to cherish. Don’t get me wrong — we faced nearly every predictable issue of this age and then some, from bullying (lightweight, thankfully) and awkward puberty to posturing for popularity. 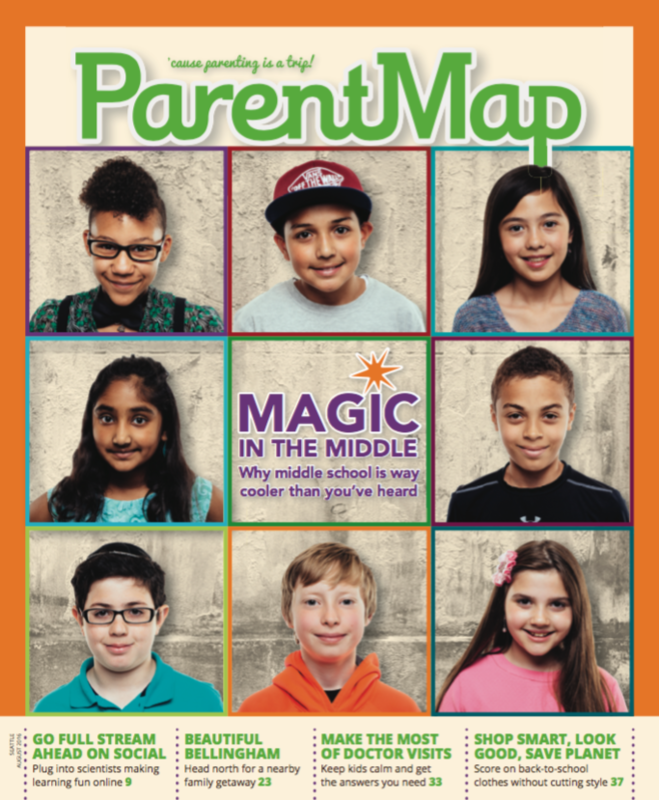 But I always found there to be “Magic in the middle” that stemmed from our kids wanting more independence as they contemplated who they wanted to be as adults. Being Jewish, we also had a built-in ritual to acknowledge this important threshold. At age 13, our kids became accountable for their actions as they began presenting their insights on their weekly portion of the Torah, then merging their thoughts with the great commentators of the past and present. No matter how bumbling or clumsy each kid is when approaching their bar (or “bat,” for girls) mitzvah day, they are magically elevated at this life-changing moment as they are lovingly embraced by the community. Our executive editor and reformed middle-school-fearing feature writer Natalie Singer-Velush captures this magic as she masterfully elicited wit and wisdom from a pack of local kids as they enter sixth grade. Deep gratitude to our dear friend and gifted photographer Will Austin for capturing their spirits so beautifully. Read more from our August 2016 print issue. Also new this month: Our column “Full STREAM Ahead.” The debut piece features, among other science superstars, self-described nerd and MIT graduate Dianna Cowern. At first, we all said “Who?”, clueless that her Physics Girl YouTube program has more than 19 million views. She’s the Neil deGrasse Tyson of tomorrow and one of many must-know scientists motivating the most reluctant learners to be enthusiastic about science, technology, robotics, engineering, arts and math. Finally, if you’re getting close to back-to-school anxiety, jump to our Out and About feature, “Bellingham.” Better yet, pack this issue and hit I-5 N and in 90 minutes you’ll find endless opportunities to paddle, bike, hike, explore and play. Happy final days of summer! In the 2016 Golden Teddy edition, ParentMap incorrectly listed Dr. Diane Tung as a dentist at Lynnwood Kids Dentist; she has left that practice and started her own, Shoreline Kids Dentistry. In addition, Camp Sealth, which is owned and operated by Camp Fire Central Puget Sound, can be found at campfireseattle.org rather than campsealth.org. ParentMap regrets these errors.